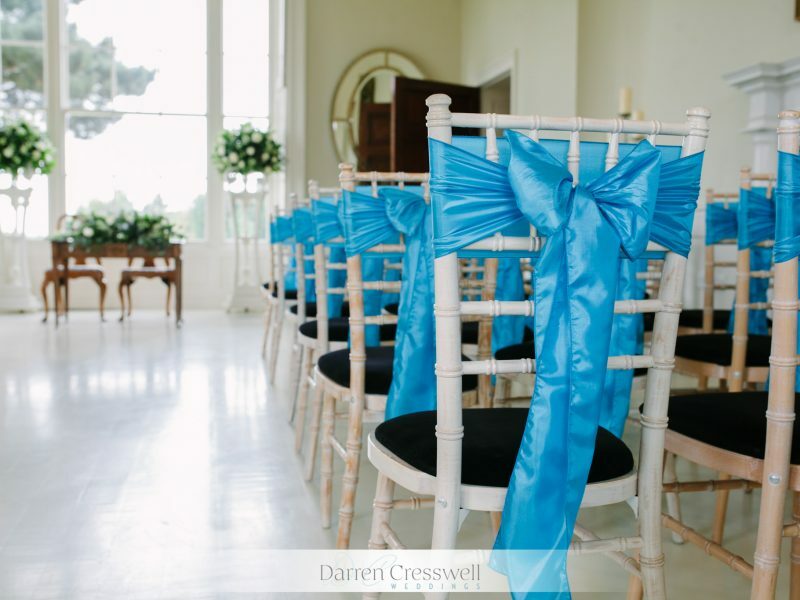 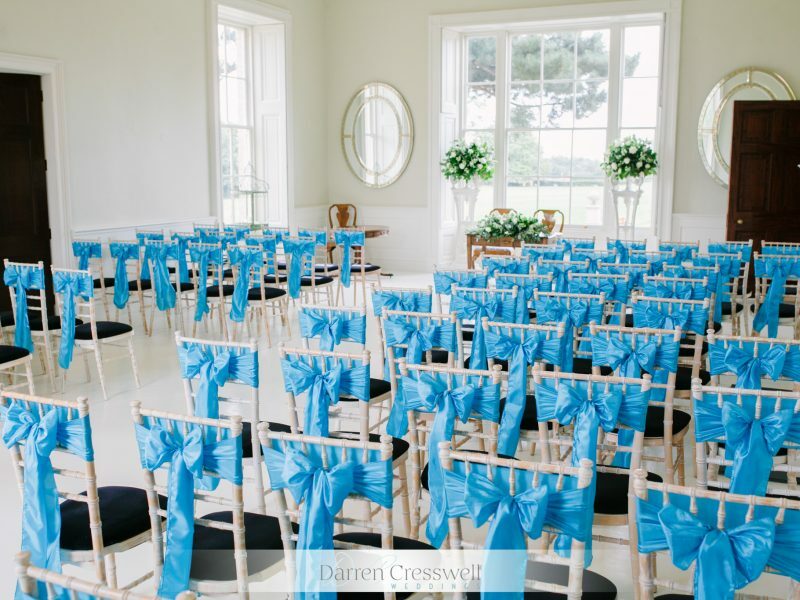 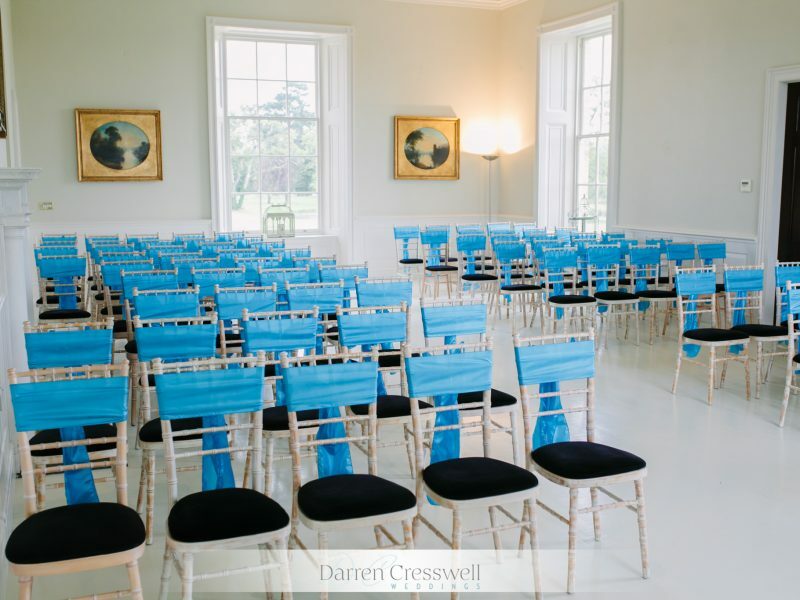 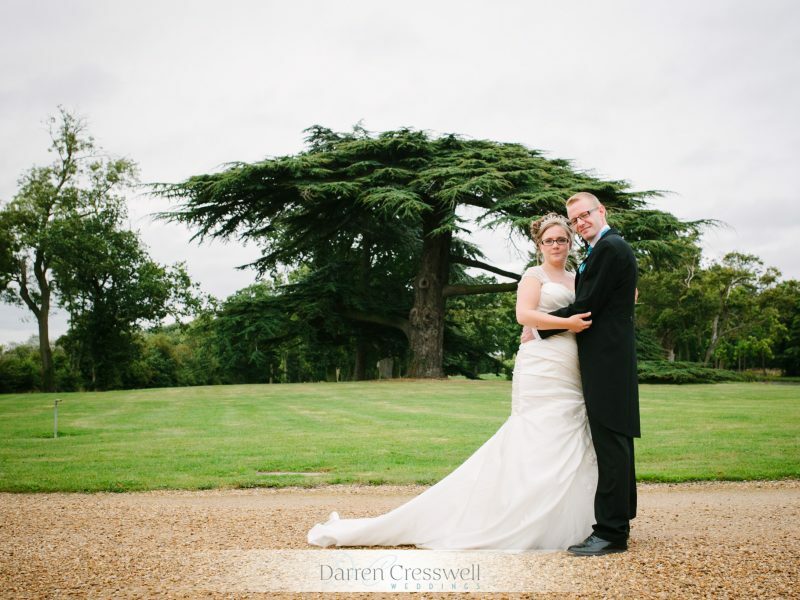 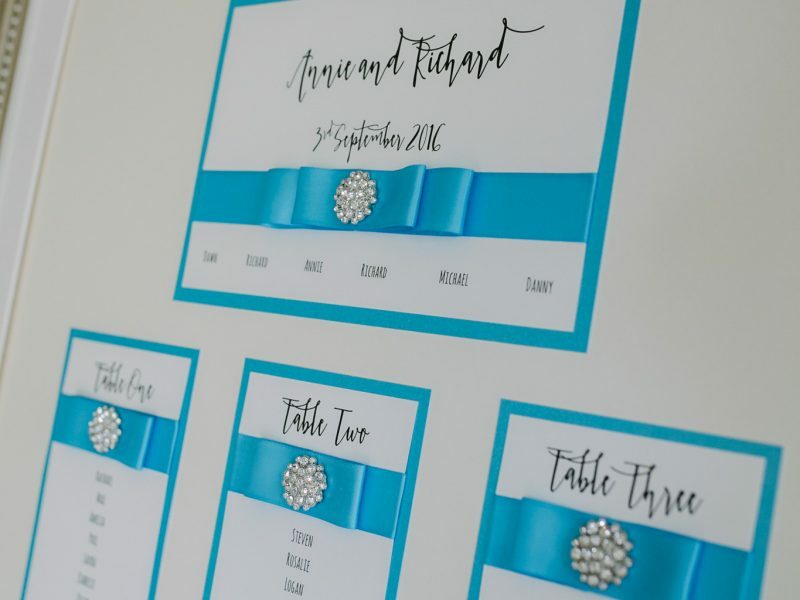 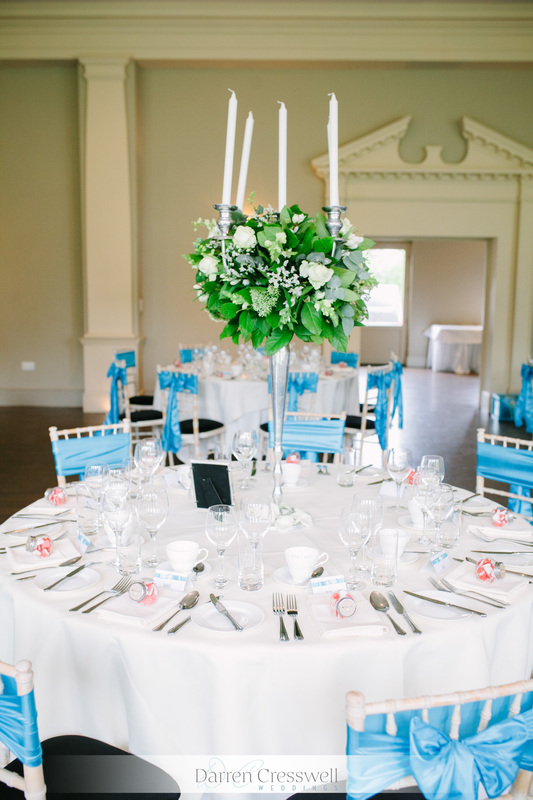 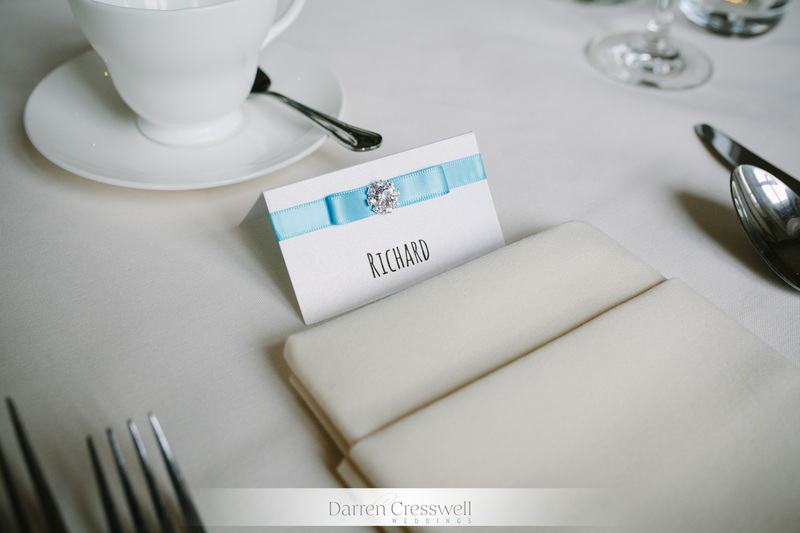 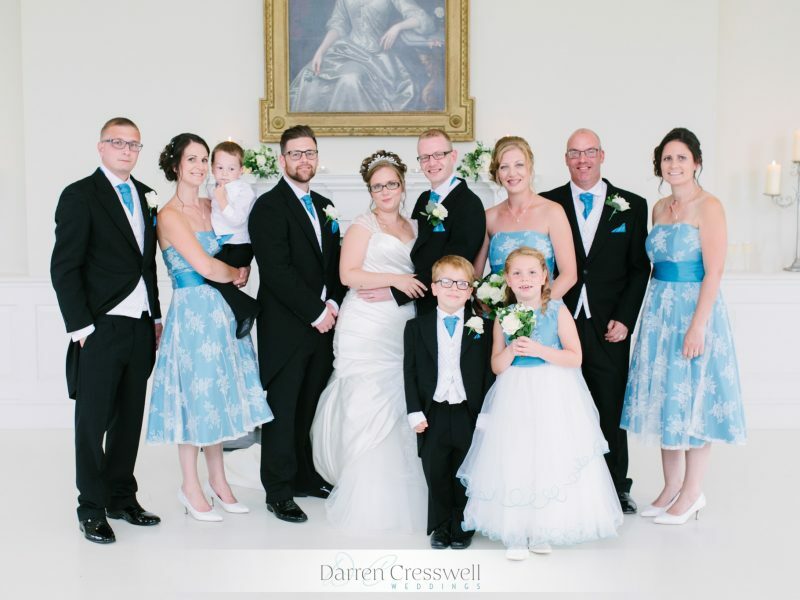 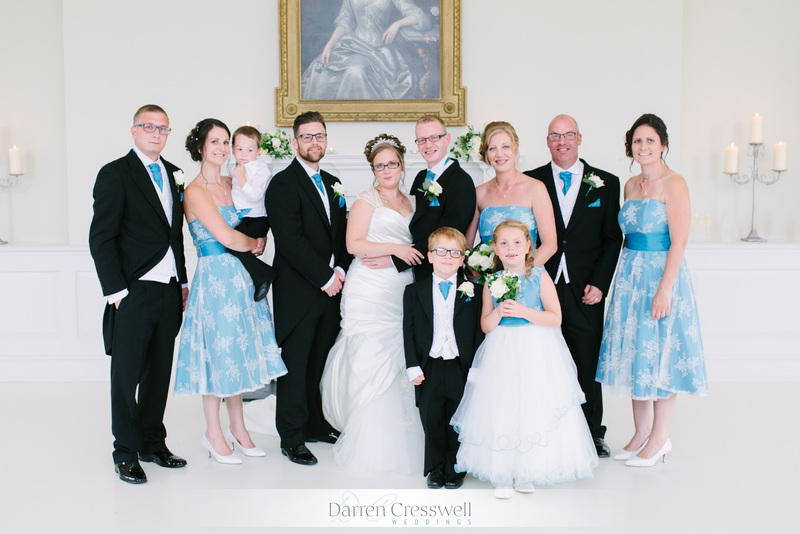 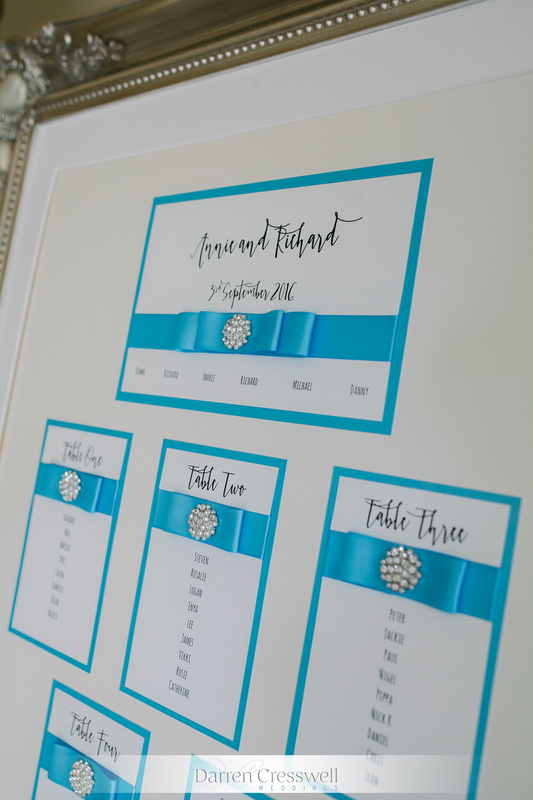 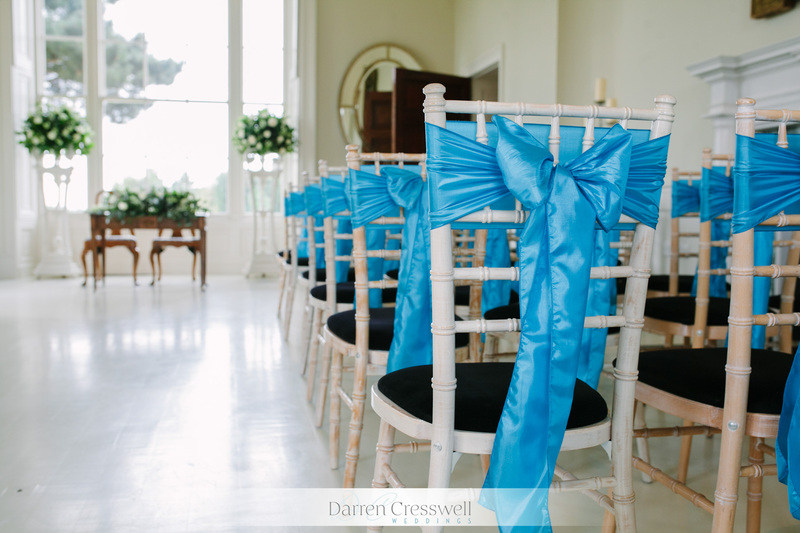 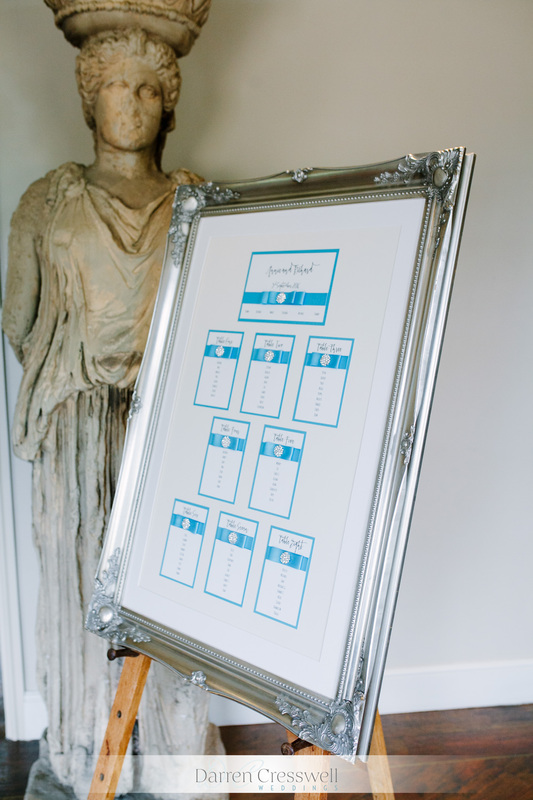 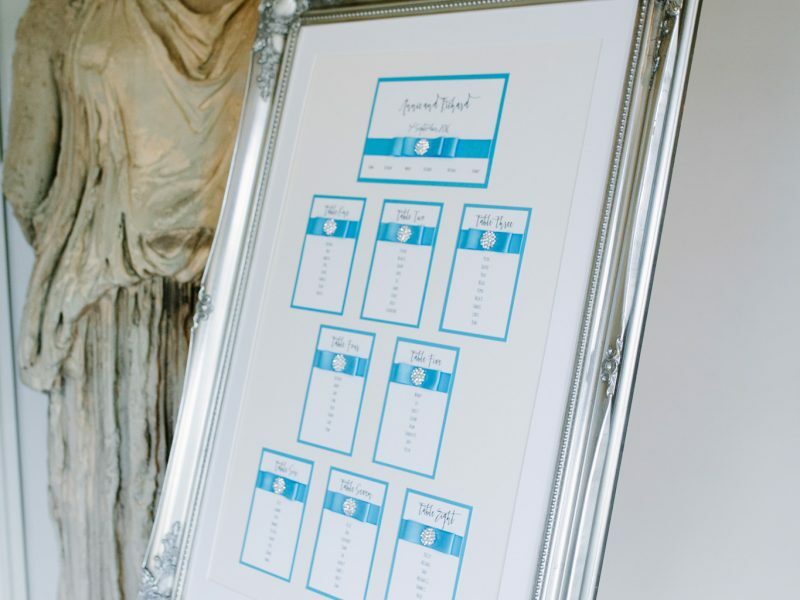 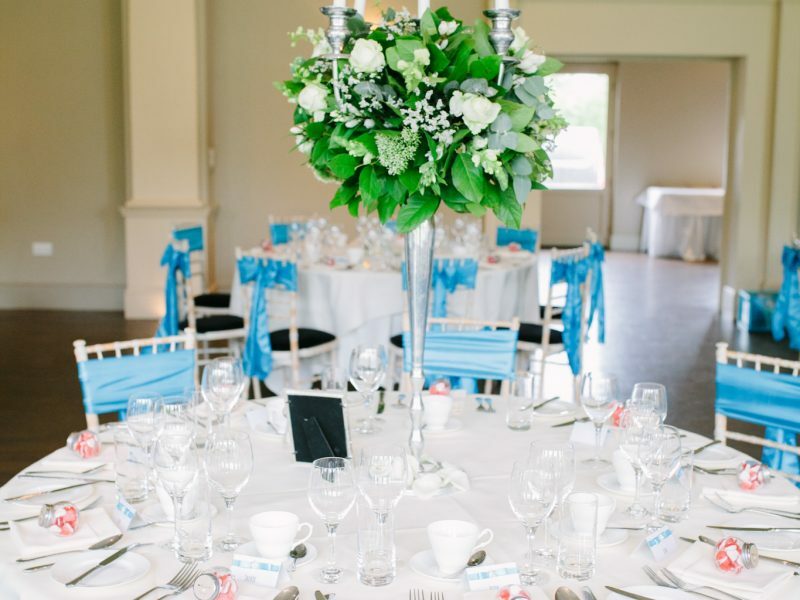 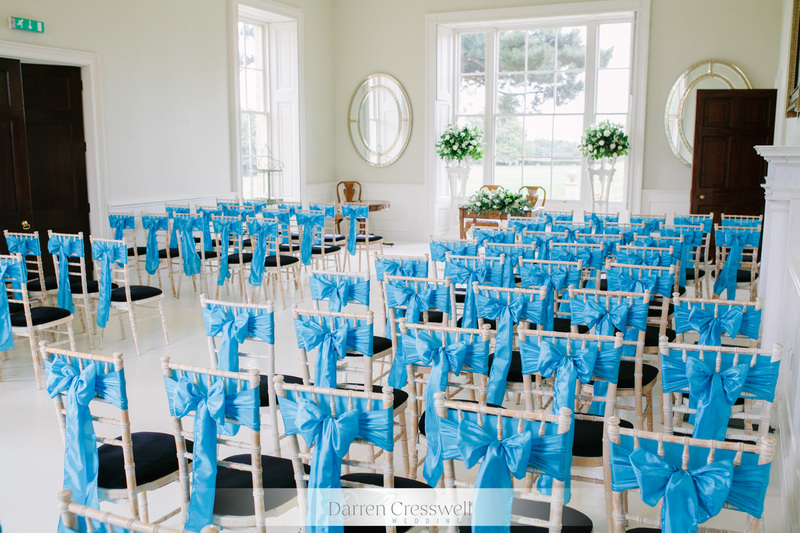 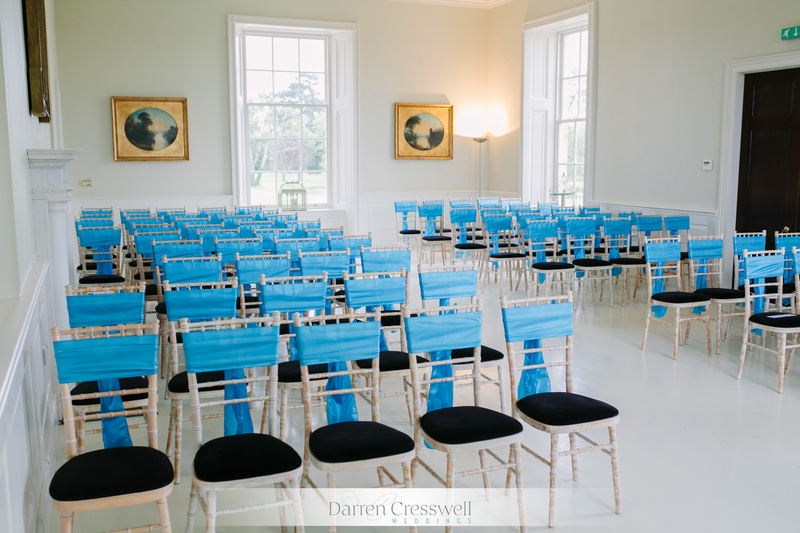 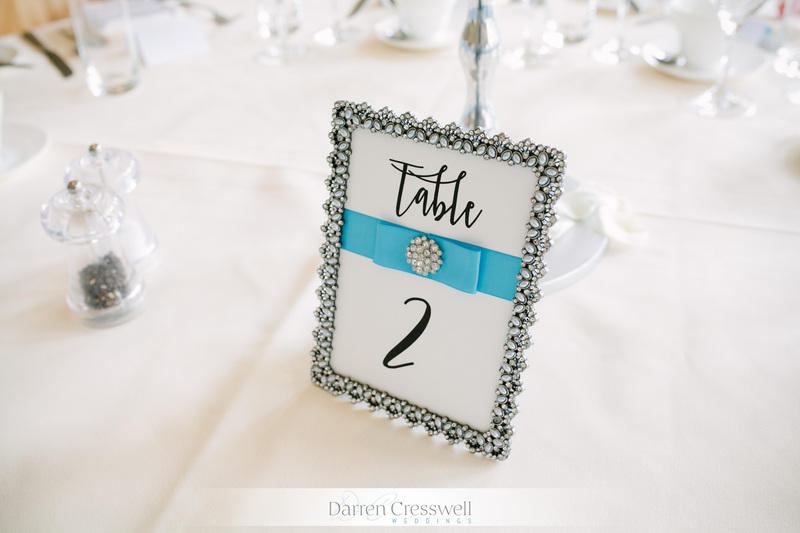 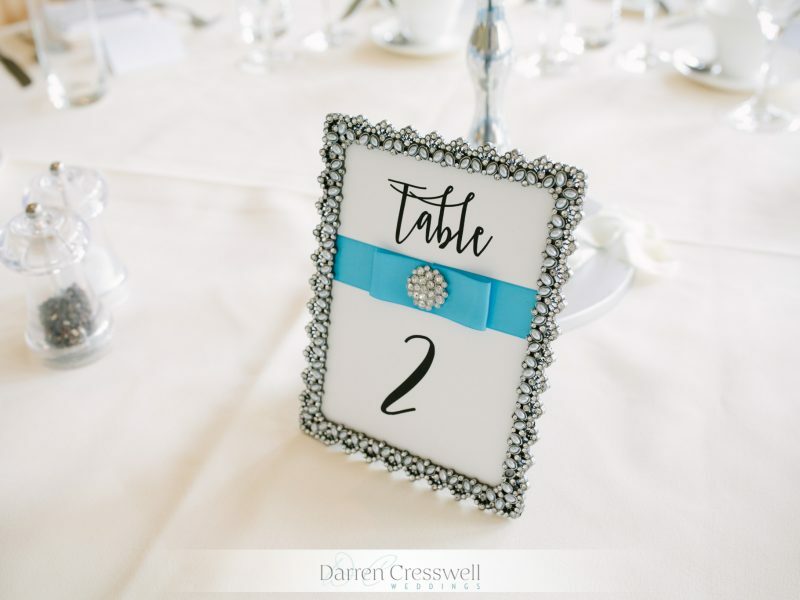 Another couple with a really, clear colour scheme right from the start – bright, bold turquoise. 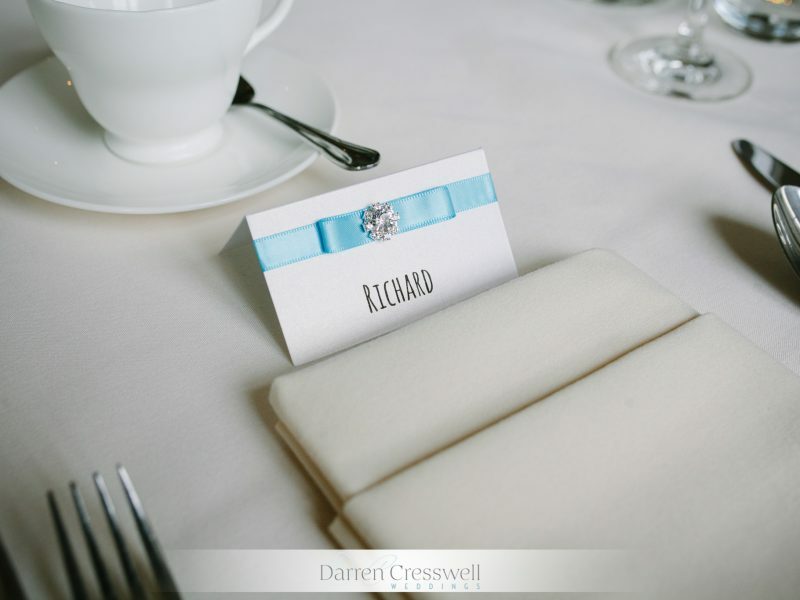 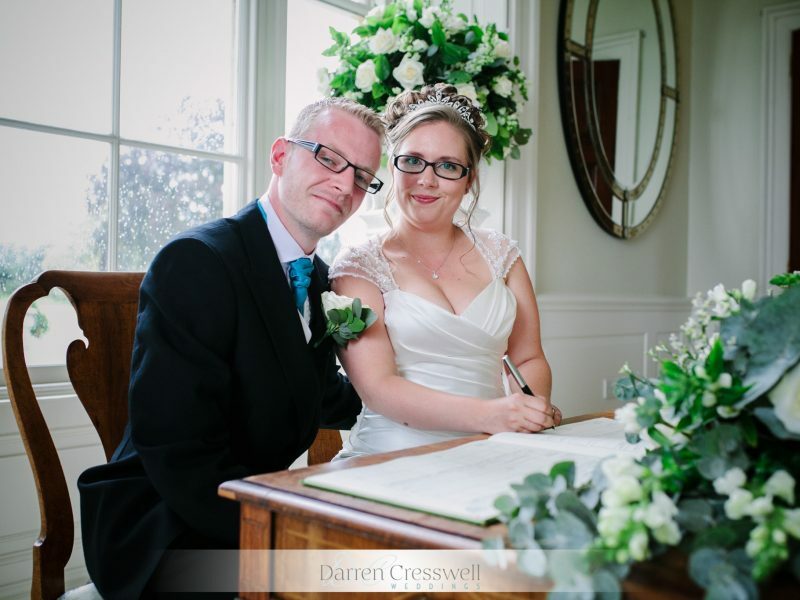 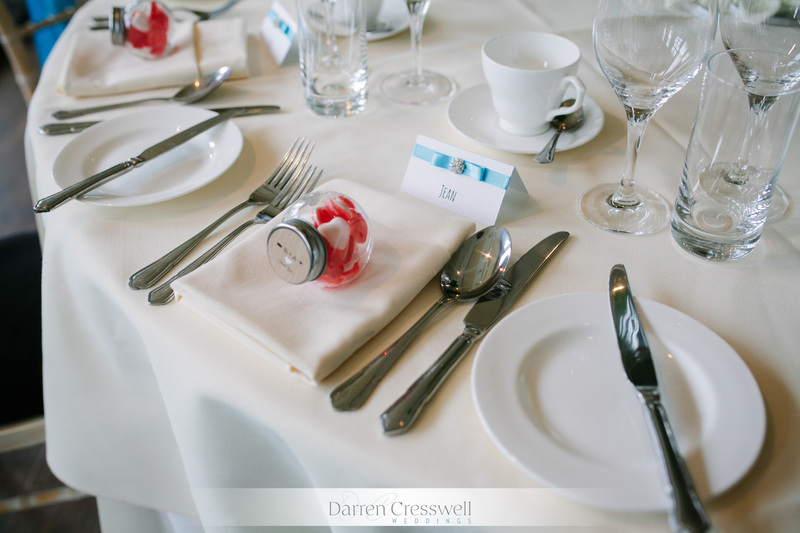 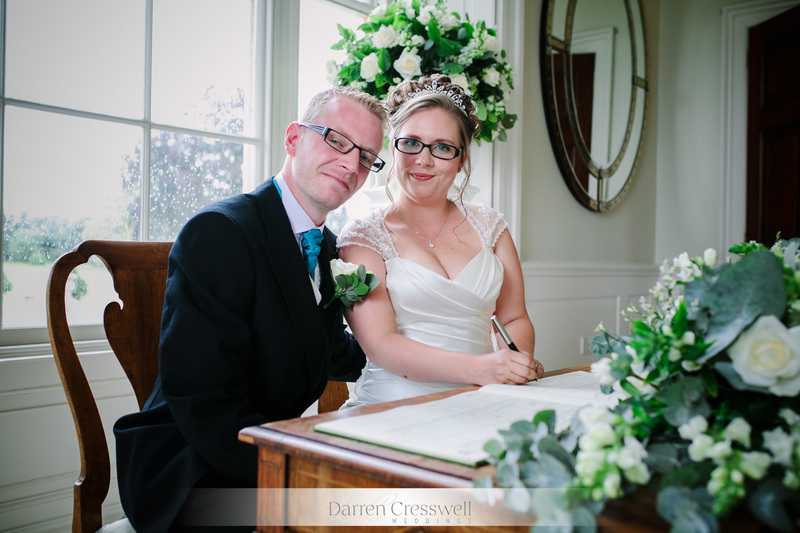 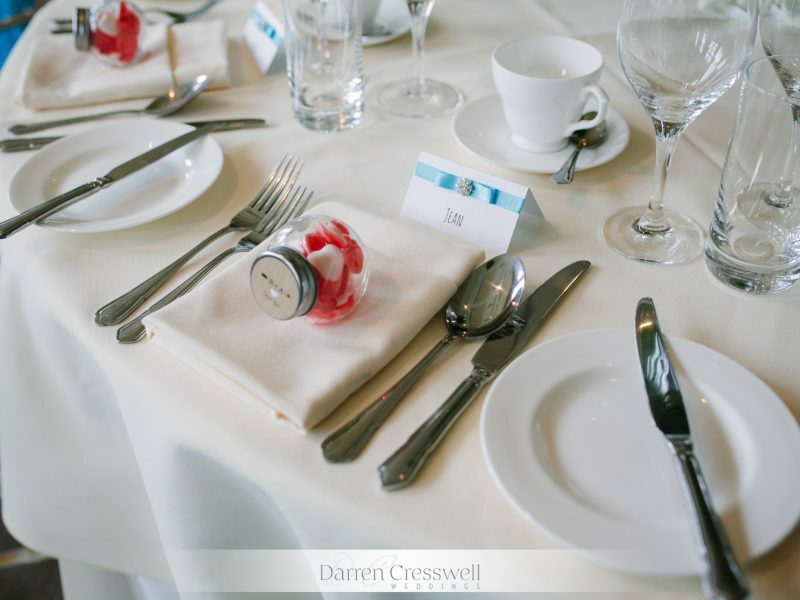 I made Annie and Richard some gorgeous silk sashes to work with their bridesmaid dresses and cravats and tied in the colour scheme with the name cards, table numbers and table plan. 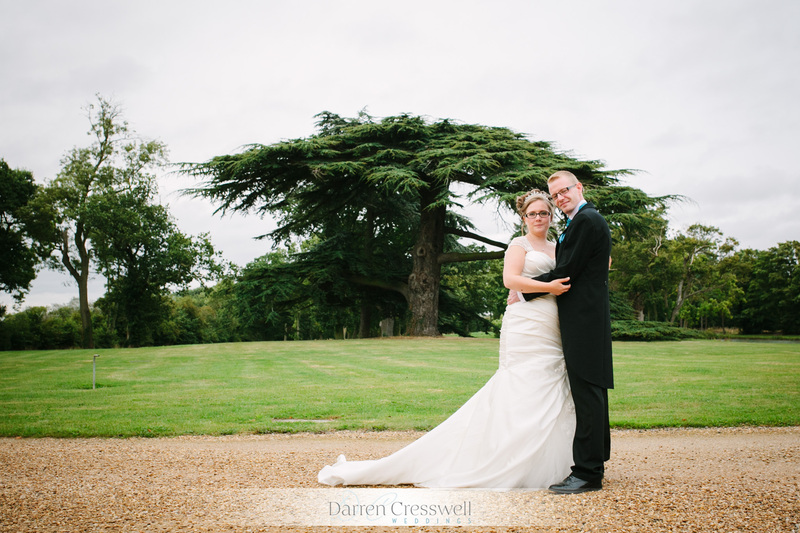 Great couple to work with, everything looked great and I wish them both a very happy future together.